I am a freelance journalist, writer and photographer, located in Turkey. I am coloumnist at Yeni Yuzyil national Turkish daily. I work for Association for Liberal Thinking (ALT), a leading free market think tank located in Ankara. I occupy several positions in my organization. 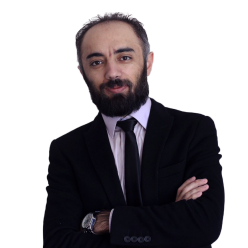 I am managing editor of Journal of Liberal Thought and HurFikirler.com, an op-ed website in Turkish and English. I was a columnist at national Gerçek Hayat News Magazine for one year. I also write at HurFikirler.com and for some Turkish daily newspapers like Zaman, Taraf and Yeni Şafak. I worked as an editor for Liberte Publishing for two years and for ALT for three years as a program assistant. I occupied managing head of ALT’s Istanbul Office for a year. I am Media Affairs Coordinator of ALT now. I have prepared a project on introduction of the city Kangal, which includes publishing of a city guide and an introduction CD. Additionally, I directed a short documentary within the project. I produced a feature-length documentary about the first think tank of Turkey named Hür Fikirleri Yayma Cemiyeti (Association for Spreading Free Ideas) in November 2012. My first book published in October 2014, named Kurusırt’ın Ardı, which is a collection of articles on local and cultural issues of my hometown, published weekly in local newspaper Kangal Gundem [Kangal’s Agenda] between 2005-2009. I have two unfilmed feature-length movie script, named Kayıp Anilar (Lost Memories) sponsored by Ministry of Culture, and Şahane İksir (Magic Potion).